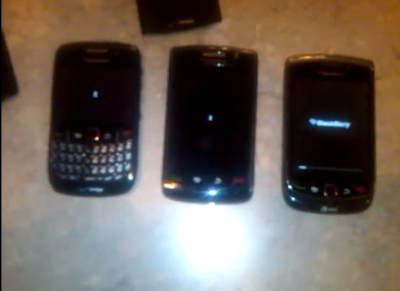 We took the new BlackBerry Torch 9800 and put it head to head with the Storm2 9550 and Curve 8530 to see who had the fastest boot time after a full battery pull. Video after break. It took the Torch 9800 approximately 1 min and 45 sec. to boot up! This is a huge step up from waiting the usual 10 minutes!